Thanks to everyone for a fantastic season! So proud of our boys for their 4th place finish in the State Tournament! Here they are the night after they beat Creighton for the second time! This award goes to the hardest working player of the game! 12/10/17 - Avery Drew who faced 41 shots on goal in the win over Tri City! 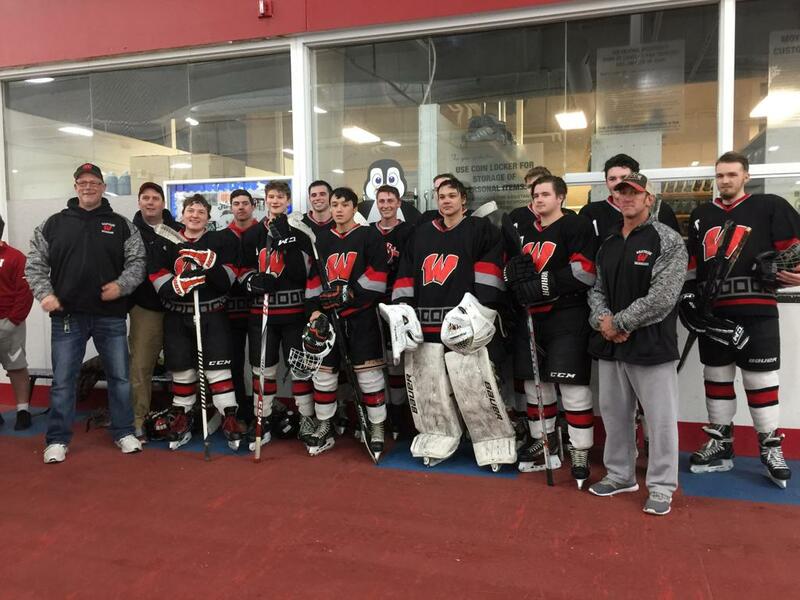 Read this great article about the Westside Hockey Team! Miss one of our games? Just have to see that incredible play one more time? You can watch our games here! Thanks to team Videographer Scott Hickey! The Alumni Game was 12/27 at 6:15 at Baxter/Holland!! And the winner was.... the current team! Way to go guys! NOTE: If I don't get people to volunteer for the clock and scoresheet I am going to start making assignments. That will be done by random draw. Please don't make me resort to that! Depending on whether we are the home team (Clock) or the away team (Scoresheet) we will need a parent to serve in the box to cover this duty. If you need training on this, please contact Suze and she will train you! Not that our boys ever commit penalties, but just in case we need a parent to let them in and out of the sin bin! Rest of Season Volunteer Sign up!! !